Are you struggling with the loss of a loved one? Do you believe their death was the result of another person or business’s careless, reckless, or intentional misconduct? If you answered yes, then we recommend calling our Little Havana wrongful death lawyers at Gerson & Schwartz P.A. at (877) 475-2905. 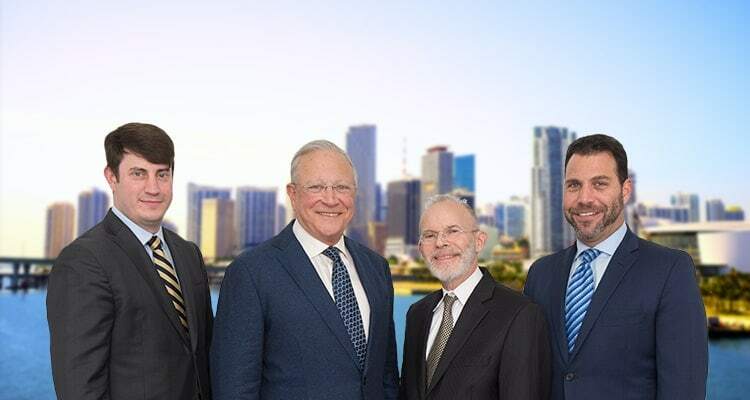 At Gerson & Schwartz PA, we represent families who live in Little Havana, surviving family members of Little Havana residents who passed away in accidents, and the families of individuals killed in Little Havana residents. Our personal injury law firm has handled personal injury and wrongful death claims for decades, and we have represented many clients with close connections to Little Havana. We understand the culture of the neighborhood and we want to see it thrive while we hold negligent individuals and businesses responsible for their actions. As your wrongful death lawyer, we will thoroughly investigate the accident that led to your loved one’s passing. We will gather evidence to support your family’s claim for compensation, and we will work hard to obtain you an appropriate insurance settlement or court ruling in your favor. To learn more about how our wrongful death lawyers for Little Havana can help, do not hesitate to call us or to use our online form to request a free consultation. Little Havana is a Miami neighborhood that lies west of downtown. The neighborhood has been known as the cultural and political center for Cuban Americans since the 1960s. It was during this decade that many Cubans fled Cuba under Castro’s reign. By the 1970s, the Cuban residents of the area has a significant majority. Today, though the number of Cuban Americans has decreased, it remains a predominantly Hispanic neighborhood. The area is full of Latin cafes, restaurants, markets, and other venues, and many business owners are still of Cuban descent. Little Havana is well known for SW Eight Street, which is better known as Calle Ocho. This street is the center of the neighborhood activity and home to several street festivals. While tens of thousands of Miami residents live in Little Havana, many more people come to visit each year. Tourists come to experience the rich history, culture, and everything else the neighborhood has to offer. The renowned neighborhood is a safe place for families, business owners and customers, and tourists. However, that does not mean it is accident-free. 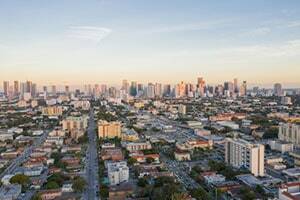 Little Havana experiences all types of accidents just as any other neighborhood would, and sometimes, these accidents are fatal. If you lost a loved one in a Little Havana accident, and you believe another person was at fault, call our wrongful death lawyers for Little Havana right away. One of the reasons it is so important to speak with a Little Havana wrongful death attorney is that you may not be aware of the Florida Wrongful Death Act and how it applies to your situation. Florida Statutes 768.16 through 768.26 are the Wrongful Death Act. These laws define when you have a valid wrongful death claim, who may file a lawsuit, and who may recover compensation. The right to file a wrongful death lawsuit arises when your relative’s death was caused by another party’s wrongful act, negligence, default, or breach of contract or warranty. Another way to think of it is whether the other party was careless (negligent), reckless (grossly negligent), or acted with malice. Another requirement is that your relative, had they lived, would have had the right to file a personal injury lawsuit and recover compensation. However, just because a valid wrongful death claim has arisen does not mean any family member can file the lawsuit. Florida law specifically requires that the personal representative of the decedent’s estate files the lawsuit. This may be you, another family member, or a professional who is handling the estate. At Gerson & Schwartz P.A., we have been hired by many personal representatives to handle wrongful death claims. Under Florida’s wrongful death laws, the decedent’s survivors have a right to portions of the compensation obtained through a wrongful death lawsuit. The law defines survivors as the decedent’s spouse, children, parents, and any other relative who was partly or entirely dependent upon the decedent for support. Our Little Havana wrongful death attorneys fight hard for survivors to receive the most compensation possible. We will pursue compensation for funeral and burial expenses, lost wages and other financial contributions of the decedent, the survivors’ mental pain and suffering, and more. When you believe your loved one’s death is someone else’s fault, it is absolutely essential that you obtain accurate legal information and advice as soon as possible. You only have two years to file a wrongful death lawsuit. That may seem like a long time, but it will go by quickly, particularly when you consider you may wait weeks before talking to a lawyer and an independent investigation may take weeks or months. By talking with an attorney as soon as possible, you ensure you begin the litigation process as soon as you can, and you avoid running up against the statute of limitations. To schedule a free consultation with our wrongful death lawyers at Gerson & Schwartz P.A., call (305) 371-6000.